Wellbeing assemblies are held termly for Years 1 to 6. These assemblies are a chance to share positive messages that help to build children’s self-esteem. Each assembly will centre on a story that promotes the five ways to wellbeing. 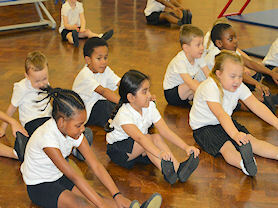 In St. Margaret Mary’s, the children experience a rich and varied PE curriculum. Throughout the year our pupils will take part in competitive sports, dance, gymnastics, multi-skills and athletics. With our older children also learning to swim. We believe that a healthy body leads to a healthy mind and can dramatically change the mood and mental state of our children. 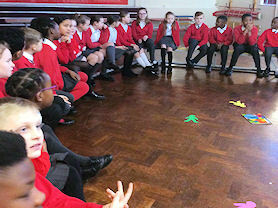 A Mindfulness clubs take place weekly at lunchtime and after school. These allow children to be present in the moment by taking part in a variety of creative and emotion led activities. These clubs are currently being targeted at Years 5 and 6 in order for them to become mindfulness leaders to the younger children in our school. We have also developed a team of Wellbeing Warriors. 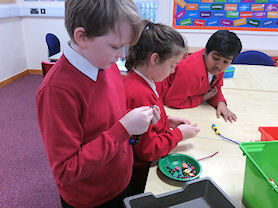 The wellbeing warriors are responsible for ensuring that all children are able to connect with their peers during playtimes and the school day. The wellbeing warriors will be on hand to offer support to anyone feeling lonely or worried by giving them a friendly face to talk to.